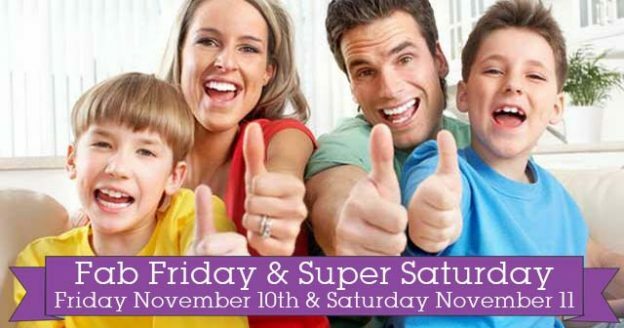 We’re counting down the days again at Evolv to our next Fab Friday & Super Saturday weekend, to take place on November 10th and 11th. Rolfing Therapy – to align the body and relieve pain. Have a 30-minute session on Saturday for just €20. Kinesiology – for all over wellness. Just €25 for 40 minutes. Available both Friday and Saturday. €10 all-natural facials with Josephine – available Friday only. €5 neck and shoulder massage with Janet – available Friday only. Two-for-one allergy test and nutritional consultation – with our resident experts Deirdre and Davina. Just €50, and available on both Friday and Saturday. Reflexology – Saturday only. €25 for 40 minutes. Tarot Readings – Saturday only. €30 for a 40-minute reading. Buy one pack of Health Science Maximum Omega 3 capsules, and get a second half price. €5 off every pack of Your Beauty Tonic – a fab new beauty product. Buy any amber necklace, and get an amber bracelet free! 15% off all mosaic oil burners, lamps, and mirrors. Do you have digestive problems, IBS, candida, gas, and/or bloating? Have a 20-minute consultation with Symprove expert Sarah on Friday for just €5. Remember to call (053) 923 6009 to book. Introducing Bush Flower Love System Facials! Have a sample treatement with visiting Bush Flower expert Suzan on either Friday or Saturday for just €10. Saturday’s appointments will include a full consultation too. Booking essential. Psychic medium and Angel Card reader Hilary Connor will be a special guest on Friday. Book an one-hour session for €60. Find out about Quinton Hypertonic nutritional supplement with consultant Lorna on Friday, and get your free sample – feel the difference! You can see we’ve lots on offer on Fab Friday November 10th, and Super Saturday November 11th – so don’t miss out!